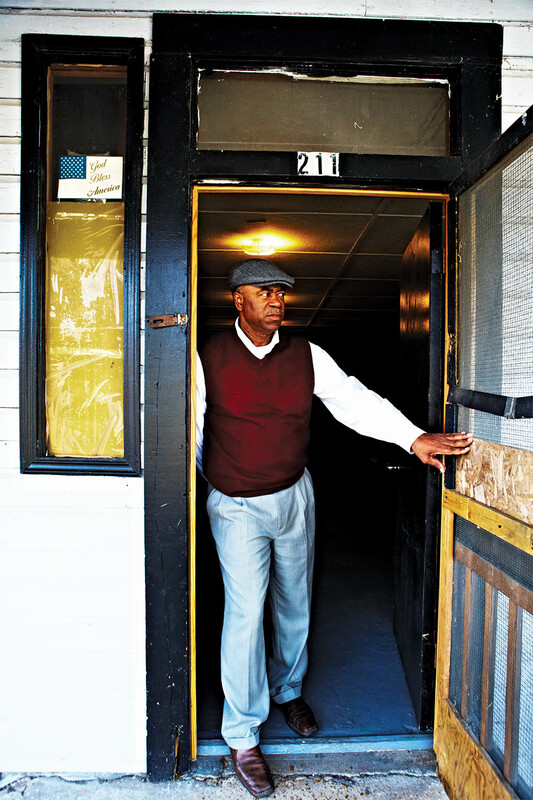 Take a deep right, Larry Griggs says, and we do, driving slowly into Baptist Town, a longtime African-American neighborhood in Greenwood, Mississippi, dating from the 1800s. I’ve never heard that term before but know exactly what he means—not least of which because I am here on the hunt of a deeper right, tracing the poles of a story involving food and civil rights that took place in Greenwood. One of the homes of the blues and the county seat, Greenwood sits some ten miles from where white racists killed Emmett Till in 1955, and less than 100 miles from where civil-rights workers Andrew Goodman, Michael Schwerner, and James Chaney were murdered in 1964. Today, despite the changes in the Delta and in our country, the town is still divided by railroad tracks and history, with a stark, visible difference in its sides. Nearby in the adjoining McLaurin neighborhood is the home of an unlikely yet increasingly recognized civil-rights figure, Booker Wright. The area bears two other anchors: Booker’s Place, the bar Wright owned, and Lusco’s, the upscale restaurant where he worked. Though just across the “wrong” side of the tracks, Lusco’s was already a Greenwood institution by the time Wright served there as a waiter. As my daddy used to say, there is nothing inherently demeaning about being a waiter—it demands great skill and little shame. Many a black waiter at a fancy establishment would earn the money that sent a child to college or to a better economic status; like Pullman porters, the role of waiter at an expensive establishment regularly commanded respect within the African-American community. So that’s what you got to go through with—but remember you got to keep that smile. Wright’s words are haunting even today, reenacting not just racism but racism’s necessitated response. 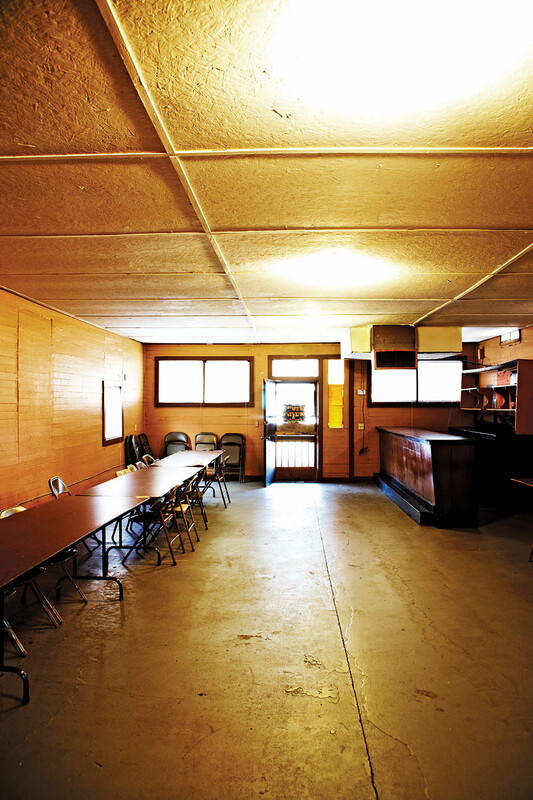 In 1966 they inflamed the closed society of whites in the Delta, many of whom frequented Lusco’s—and who were members of the local White Citizens Council, groups founded to oppose the 1954 Brown v. Board of Education’s desegregation ruling. What’s more, Wright directly contradicted the words of such members shown in the montage before his scene—including the mayor as well as the lawyer for Byron De La Beckwith. Then living in Greenwood, Beckwith was twice tried but not yet convicted of the assassination of Medgar Evers. In the words of the documentary, this august panel “voices the orthodox liturgy”: “The colored people are very happy, extremely happy in Mississippi.” Another chimes in, “That’s a fact. Do you know anybody that disagrees with that?” There is only one answer—one right behind the counter at Booker’s Place, speaking on behalf of many others who could not gain access to the camera. What Wright said in just over two minutes offered a direct affront to the very system the well-to-do white customers of Lusco’s worked to maintain. After the film aired, apparently with Lusco’s staff watching, Wright was let go from the restaurant. (Some maintain he quit, as if that makes a difference.) He was soon pistol-whipped—by a local police officer, no less—and was sent to the hospital, his own establishment firebombed. Both the man and bar survived. Years later, Wright was shot and killed by a bar patron; as described in the 2012 documentary Booker’s Place, his descendants and others in the community have suggested the shooting had a political motivation. The following sequence of poems, Repast, honors Wright’s legacy. The title refers to the traditional African-American meal following a funeral. Whether formal or for family members only, held at a house of worship or the home of the deceased, catered by a favorite local spot or a community potluck, the repast is a ritual connected to other foodways, as well as traditions both African and American, Christian and more broadly religious. Where the wake before the funeral is primarily about the dead, the repast nurtures the living who share food and memories. The very word has come to suggest a reflection, not on the past but the future, a final supper after the burial that leaves the circle unbroken. Wright himself has left a wide wake. 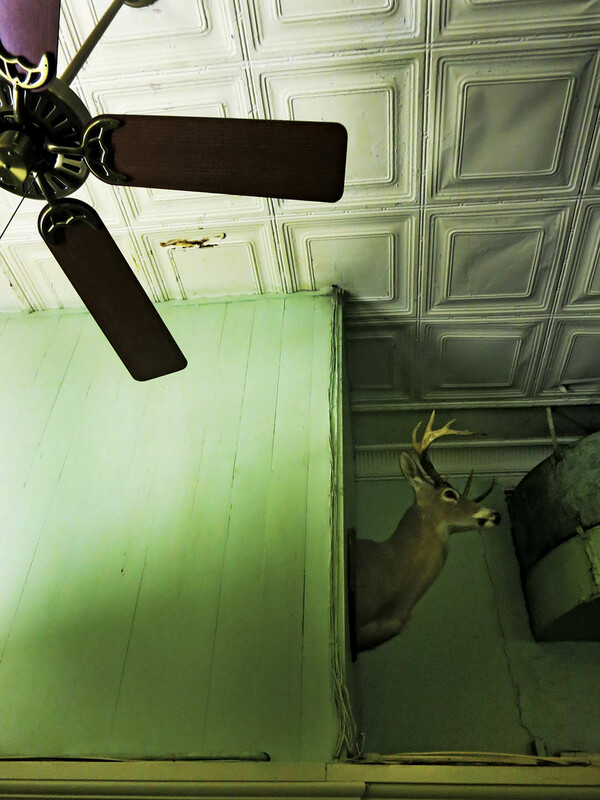 These poems are some of the ripples from his defiant act, forming the better part of an oratorio—or musical setting for voice—I was commissioned to write by the Southern Foodways Alliance (SFA) for performance in October 2014. In the libretto, I wish not merely to quote Wright or speak for him—he well can speak for himself—but to sound out an inner life in which Wright, through quotation and the imagination, tells us what it means to wait. I even pictured a bit of staging: Over the course of Repast, his waiter’s serving napkin goes from bar towel to preacher’s handkerchief, as Wright literally transforms from a waiter to a barkeep to an activist—which may prove the same thing. The music I imagined for the piece was black music from the last century, which still swings: blues (and rhythm and blues) overtones to those of gospel and soul music more generally. There is also church music, with the opening hymn intoning, Let us break bread together on our knees, since these poems represent a communion offering of sorts. I was fortunate to first hear the setting by composer Nolan Gasser at the same time everyone else did; to experience it as performed at the SFA Symposium by artistic director Bruce Leving-ston (piano) and singer Justin Hopkins (bass-baritone) alongside Wright’s granddaughter Yvette Johnson was to conjure up more than Wright, but a sense of a movement—one made up of daily insurrections, of giving voice and not giving up. Some of Greenwood’s memory is held by Larry Griggs, who helps maintain Booker’s Place on behalf of his Friendship Missionary Baptist Church congregation next door, which now owns the property. 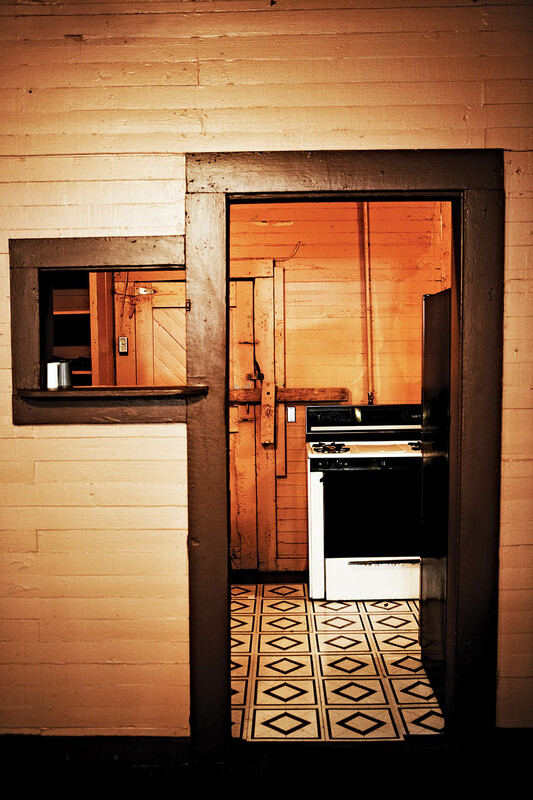 (A photograph of him at Booker’s front door graces the start of this essay.) As in African-American music, the club and the church sit side by side—we joke together that some folks would go straight from one to the other. 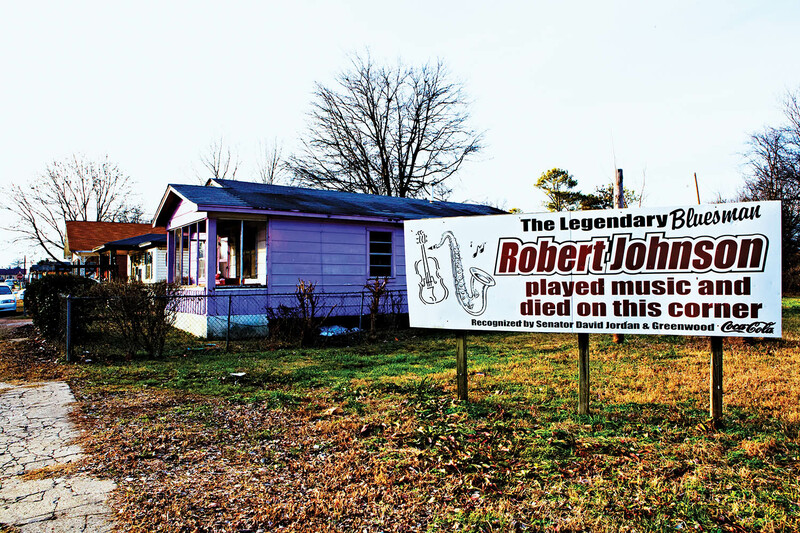 The area around McLaurin Street used to have many juke joints, whose lively nightlife often proved troubled. 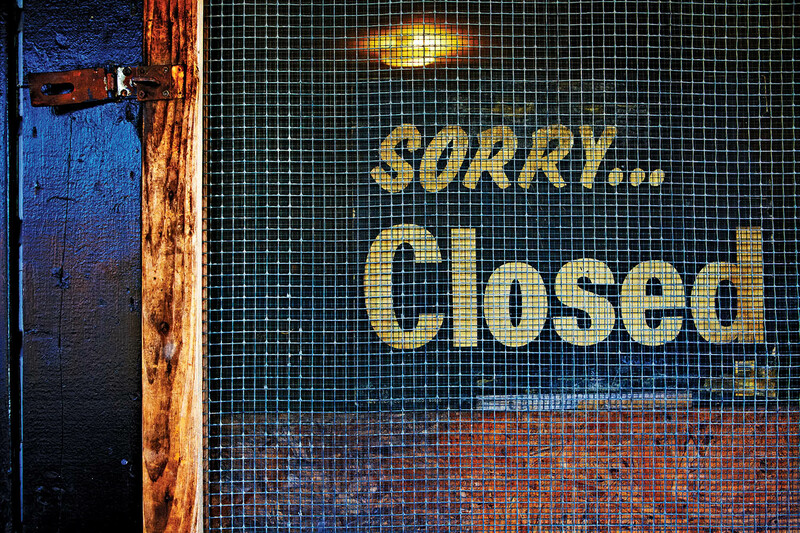 Over the past two decades, Friendship Church has steadily bought up and torn down more than a dozen surrounding establishments—leaving standing Booker’s Place, which maintains a place of honor in the community. Friendship Church has repainted and refurbished the space, using it for certain events—but kept his famous long bar. 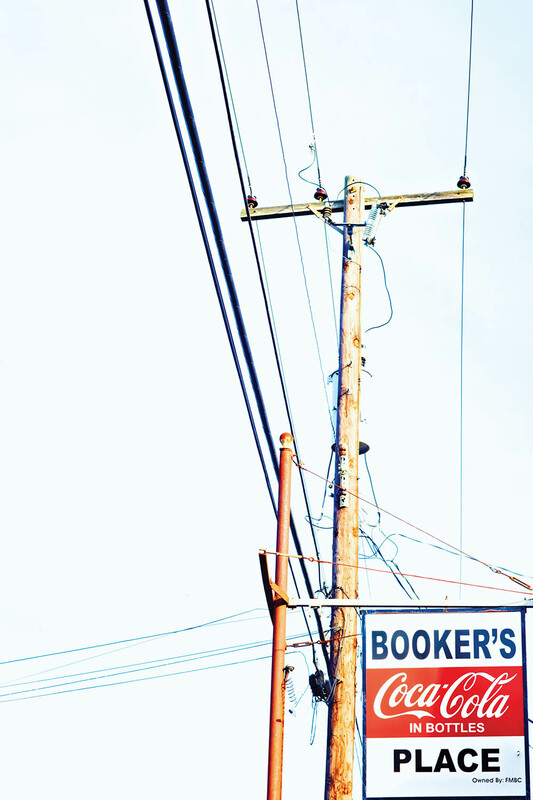 Several original Booker’s signs are kept, if broken, out back—this is no museum, only memory. Having initially visited Greenwood in the course of writing the oratorio, I returned there for VQR in January 2015 with photographer Melanie Dunea. Melanie and I had been hoping to collaborate since we met several years ago, and this seemed a chance to expand the oratorio into the visual realm. How to conjure Southern life and not just its history—one not only complicated, and at times troubled for even those who experienced it, but one that’s been overdetermined by images of the sharecropper, dust, front porches, and cotton? How to go past a Mississippi only of the mind? I have always conceived this project as the first of a series of unlikely but necessary civil-rights sites as viewed in poem and picture, one informing the other. In the photo-poem that follows, you will find Lusco’s and Booker’s Place, both of which still stand. 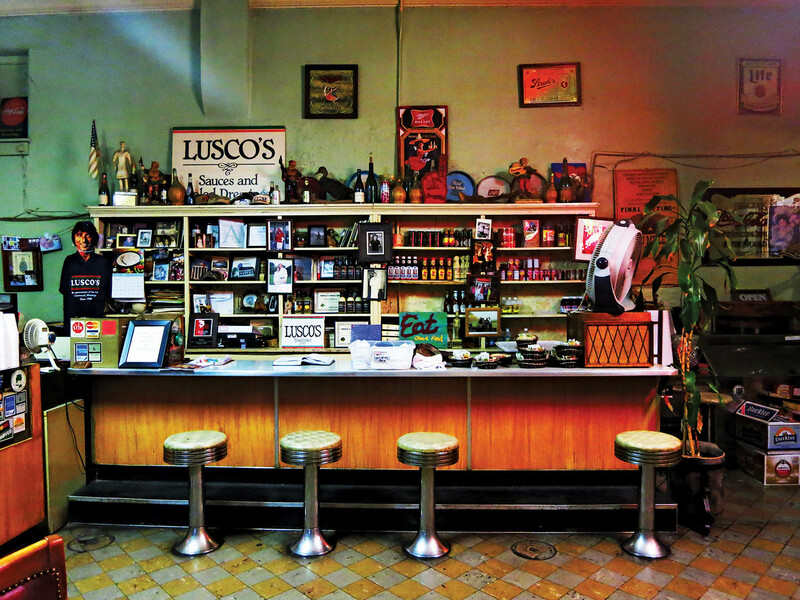 Lusco’s continues to serve in its private, curtained booths, begun as a Prohibition necessity and maintained today. (Such booths are particularly popular in Greenwood and grace even newer bars.) Its elegance is my favorite kind—fading, along with the memory of desegregation. If you go, order the spicy shrimp. Before Mr. Griggs takes us through Baptist Town, just north of Lusco’s, we drive around the corner from McLaurin to the adjoining park where Stokely Carmichael popularized the term “Black Power” in a famous speech, its history told by a further marker. Its cry seems not just a slogan, but yet another necessity denied in these parts. 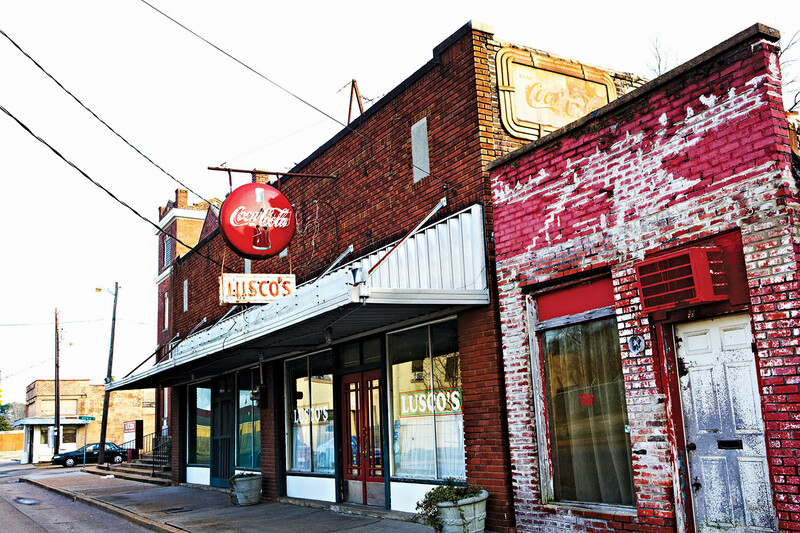 We circle back to take a picture of Lusco’s lush neon sign, with Coke on it; a man in the empty lot next door is grilling something on an open flame that doesn’t quite smell like meat. I only notice another, faded sign, high above, later—Coca-Cola, the Dark Lady of the sonnet of the South, which also adorns the new, spiffier sign for Booker’s Place. Repast ends with “Sundaying,” a poem that pictures a redemption through food but also what my childhood congregation would call fellowship—a feeling of fullness, here through witnessing and driving over the waking world itself. As the singer announces before the final poem and song, Those who are able, please rise. I insist. I’m your host. Your money is no good. Tell my people what you got. It’s the haze that hurts. staring into each other’s eyes. A shack made of ribs. A house made of out. A car made of rust. A smile made of doubt. A house made of fire. Of cards. Of the Lord. As preacher, pats his brow. A joint made of juke. A twist. A night away. A wood made of green. The kerchief now a bandage. A home made of railroad. so & so and so & so. And I keep that smile. you got to keep that smile. That’s what I’m struggling for. me good, but not dead.